Kendall Poole Ellis is the director behind the managing, planning, coordination and execution of all local and destination events. 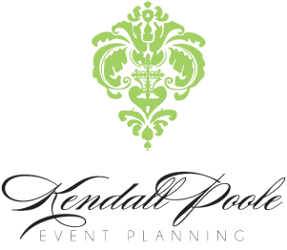 Kendall handles all levels of planning, specializing in producing multi-day celebrations and destination events that beautifully reflect the unique needs of each client and location. Kendall emphasizes the importance of establishing a distinct and personal relationship with each client, to ensure the full potential of the couple’s vision is realized. All of her clients share an appreciation for incomparable work ethic, honesty and the ability to create and execute a flawless event. Kendall has been an event planner for over twelve years. She started by designing events for friends, colleagues and acquaintances. Her strong reputation grew organically through her ability to stay calm in any situation and the essential belief to respect, understand, and listen to her clients’ wants and needs. Kendall creates the perfect fusion of function and style by incorporating her vision and expertise. Clients immediately recognize her passion for planning and commitment to their events. She prides herself on her ability to transform a client's vision into reality, and her calm, yet comforting, demeanor puts clients at ease. Kendall is happily married to Will Ellis. They have a precious little girl, Emma Elizabeth, and a sweet baby boy, Charles William IV. Kendall is a graduate of the University of Mississippi and currently resides in Jackson, Mississippi. Kendall finds inspiration in surrounding herself with God's word, books, dear friends and family.